Did you know that every hour at Disney world, they are cranking out 1200 pizzas an hour… at several locations!?!? That’s a lot of dough! The quick service restaurants use a machine called the “pizzamatic” and can be found at Pizzerizzo (Hollywood Studios) and Pizzafari (Animal Kingdom). If pizza is one of your favorites no worries, you can find TONS of places to get a slice of your favorite pie at Walt Disney World! Check out Trattoria Al Forno at Disney’s Boardwalk, Pinocchio Village Haus at Magic Kingdom, Pizzafari at Animal Kingdom, Any of the Wolfgang Puck restaurants at Disney Springs, Pizzerizzo at Hollywood Studios, Catalina Eddie’s at Hollywood Studios, Tony’s Town Square at Magic Kingdom, Splitsville at Disney Springs, Mama Melrose’s at Hollywood studios, and of course- my all time favorite- Via Napoli at Epcot! Our pizza from Via Napoli!!!!! If none of these options sound like the type of pizza you’re in luck. Within a reasonable drive from Disney World Property you can hit up Giordano’s Pizza (THEY ALSO DELIVER TO DISNEY RESORT HOTELS)! They’re a Chicago based pizza chain with STUFFED pizza! It’s one of our all time favorite pizza places. They just added a location 2 hours south of our home and we totally drove 2 hours for pizza. If you are a pizza lover it’s definitely worth checking out! Ready to check out all of these amazing pizza places? Be sure to contact Ashley at Charming Travels LLC for all of your Disney Planning needs! Her services are free of charge and helping people plan their magical vacation is her favorite thing to do! Fun Fact Friday- Take a Walk in the Park Day! Today is Fun Fact Friday, but also a unique holiday! Last week was “make up your holiday-day” and today is national- “Take a walk in the park day.” Now to a “normal” non disney obsessed person… they would probably assume that taking a walk in the park would mean going to the park around the corner, or visiting your nearest national or metro park (we have a ton of GREAT parks near our home.) To this mouskaholic though, the words “Take a Walk in the Park” immediately makes me think DISNEY parks 🙂 . So for fun fact friday today we will look at the mileage involved in walking through each of the Walt Disney World and Disneyland parks. Now Epcot is significantly larger than Magic Kingdom. Just to walk around the World Showcase Lagoon in itself is 1.2 miles, and when you add Future World in you’re looking at a minimum of 2.64 miles. With all of the construction at Hollywood Studios, and it being one of the smaller parks anyway, you’re looking at a much shorter walking distance (again these are just if you were to walk to all the attractions, no going in, waiting in line, no doubling back) . So at Hollywood studios pre-toy story land and pre-Star Wars land you’re looking at approximately a 1.4 mile walk total. Your second to longest walk comes in around 2.45 miles at Disney’s Animal Kingdom. This is the largest park in square mileage at Disney, but luckily to explore some of the areas you get special transportation… like the safari area you need to be in the safari cars, and to get to Rafiki’s planet watch you take a train to get out there. This has the potential to be a LOT of walking depending on how you’ve planned your day! Now let’s head to the park where it all started! Disneyland in Anaheim California! I’m always amazed at how many awesome things they can pack into 1.4 miles, but they’ve definitely managed at DCA 🙂 . Things to keep in mind about walking at Disneyland is the you can walk from your hotel, and you’ll walk through Disney Springs or the main gate to get to either park. While the parks are a little one the smaller side in comparison to WDW, the walking potential is still quite high. While what I mapped above is just a simple route around each park, there is the potential of doing MANY more miles while you’re there. Make sure you have good walking shoes! Mr. Mouskaholic and I average around 7-9 miles per day when we go! So who is ready to take a walk in your favorite Disney parks? Ready to take your own walk in the park? Be sure to contact Ashley@charmingtravelsllc.com for your FREE no obligation quote! All of her planning and booking services are 100% free of charge to you! The Villain Spooktacular at Magic Kingdom was one of my FAVORITE parts of the MNSSHP! Floating Islands in the brand new pandora section at Animal Kingdom! Even though it was a short trip, going to Disney in October was one of my all time favorite trips! This was from the flower and garden festival at Epcot! Its my favorite time to go to Epcot because of the beautiful bright colors! Ready to plan your own Disney trip and take your own amazing photos? Be sure to contact Ashley@charmingtravelsllc.com for your FREE no obligation quote! All of her planning and booking services are 100% free of charge to you! Soarin’ Over California opened at Disney’s California Adventure park in the Condor Flats area of the park on February 8, 2001. It was so popular that it was duplicated and added to “The Land” pavilion at Epcot on May 5th, 2005. In honor of the opening day at Epcot the flight number is 5505. In 2016 the ride closed for refurbishments on January 4th. It reopened on June 17th, 2016 as “Soarin’ Around the World.” This reimagined ride still pays homage to the original opening day at Epcot. As an educator, this is is completely different approach than what we take in American public schools. Our job is to educate, and then hope that our students are entertained along the way. Walt valued education, and that is evident through many attractions that focus on sharing history and literary moments (Great Moments with Mr. Lincoln, the Hall of Presidents, the Carousel of Progress, Tom Sawyer’s Island, PLUS all of the educational moments at Epcot that Walt didn’t even get to see!). By bringing these attractions to life, he focused on entertaining, and having education as a secondary product. Park goers are being entertained and learning, without even realizing it! Are you ready to be entertained AND learn something? Contact ashley@charmingtravelsllc.com for your free quote! Her planning services are free of charge to you! Monday was President’s Day, so I published a rare “Fun Fact Monday” (it just doesn’t roll off the tongue like Fun Fact Friday!). There is SO much to know about this attraction though, so today I would like to follow up with some more fun facts! Fun Fact #1– The only place that you can see the Presidential Seal on display outside of the White House is at the Hall of Presidents. In fact, it took Congressional approval for the seal to be displayed at the Magic Kingdom. The seal is surrounded by a small fence to protect it from guests standing on it. Fun Fact #2– The Hall of Presidents opened up on October 1, 1971 when the Magic Kingdom first opened it’s doors, making it one of Disney World’s original attractions. The attraction has been running for nearly 46 year now, and has to close every 4 to 8 years to undergo refurbishments to make way for the newest POTUS. (The Hall is currently closed to make way for the new President Trump audio animatronic figure, and will re-open on June 29, 2017). Fun Fact #3- When Epcot’s Spaceship Earth needed audio animatronics, molds of the presidents were used for to speed up the process! Teddy Roosevelt was recreated into an Egyptian priest and again as a senator in Rome. James Buchanan was made into Johannes Gutenberg and can be seen standing next to the life changing printing press. Eisenhower is the lute player and the sculptor is actually from the mold of Ulysses S. Grant. Two more presidents, Franklin Pierce and John Tyler, can also be seen as scholars. 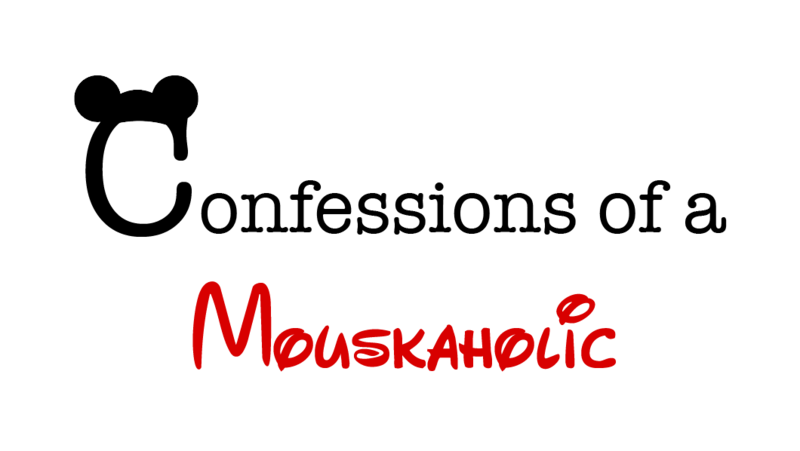 Be sure to follow Confessions of a Mouskaholic on Facebook, Instagram, and Twitter! If you’re ready to book your next vacation be sure to email Ashley@charmingtravelsllc.com for your free quote. Her booking and planning services are always free of charge.